An in depth article which examines the Service, Office, and Retail Workers’ Union of Canada (SORWUC), an independent, grassroots, socialist-feminist union that existed from 1972 to 1986. They organised workers in marginalised, low-paying, largely female-dominated sectors that weren’t high priorities for the much larger business unions. This article was published in the Canadian academic journal Labour/Le Travail, vol. 73, in 2014. 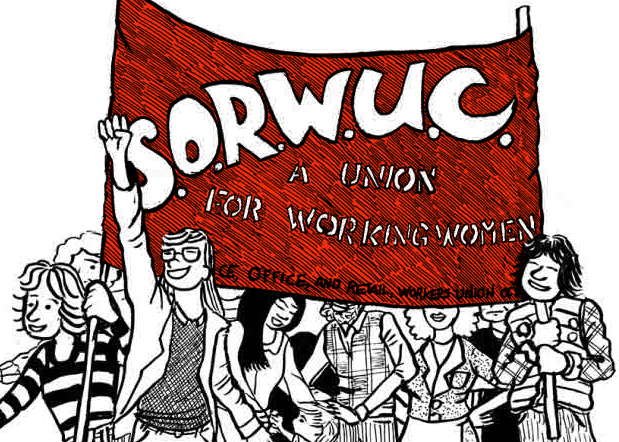 Grounded in socialist-feminist principles, SORWUC’s leadership remained conscious of the exploitative nature of capitalist class relations and, more importantly, was dedicated to organizing workers across such social divisions as race, gender, and skill.